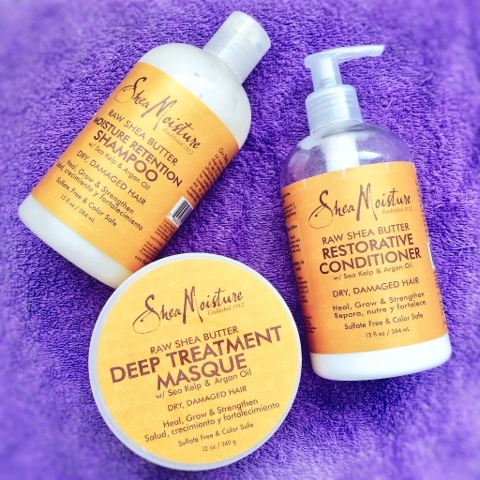 I was planning on doing a review soon after I got these products, but I didn’t see any difference in my hair after the first wash and deep treatment, so I put off the review. Not much difference in my hair so far but I’ll share my opinion of the products and my experience with them so far. Brought these products from Amazon just over two months ago and I’ve only used them three times so far. 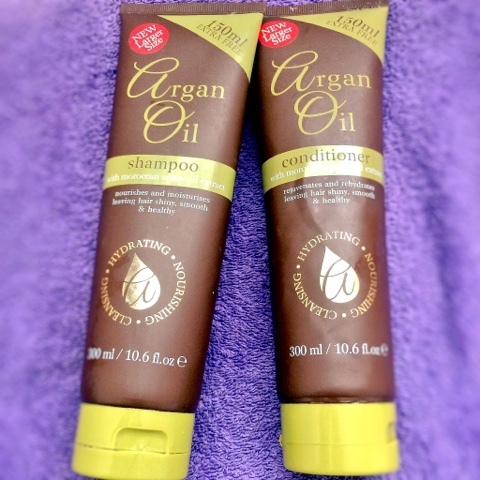 I was previously using the argan oil shampoo and Conditioner from poundland. It’s hard to review this because I’m not really sure what the shampoo is meant to do for my hair other than clean it. It says moisture retention which suggests it’s keeps in moisture which is always a bonus when you have dry heat damaged hair. The shampoo smells good and did what it’s meant to do, my hair did feel nice and soft, slightly tangled but that’s normal as I don’t always brush through my hair before and during wash day. I noticed when I first used it that it didn’t have the same feel as the poundland argon oil conditioner, which is a good thing. My hair felt really good when the Conditioner is in my hair. I was able to detangle with my fingers fairly easily, however once it was rinsed out my hair felt slightly dry. Normally after I condition my hair is smooth and soft. I do love that it smells just like raw shea butter. However the fact that the conditioner had the opposite effect on my hair made me question whether to repurchase it. Later on found that it can be used as a leave-in which would have been much better for my than a rinse out. 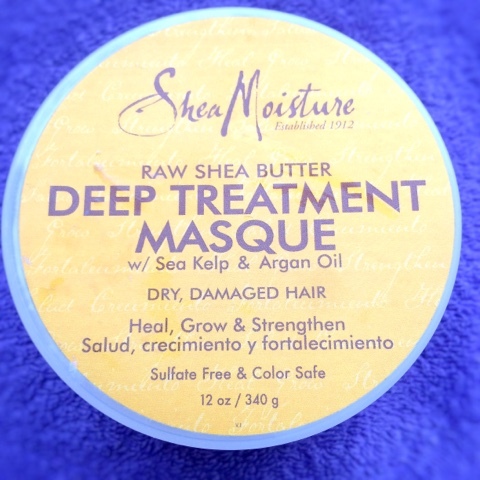 I’ve been comparing this to the Cantu hair masque and it doesn’t really feel the same, which I guess is expected as they are different products. The tub instructs you to leave the masque in for five minutes, but with my damaged hair I didn’t think five minutes would have done anything. I have never seen any type of treatment masque made for afro textured hair suggest leaving it in for 5 minutes so that was strange to see. It suggests using moderate heat for thirty minutes for deep penetration, but I don’t have a way of getting heat onto my hair for thirty minutes and I wasn’t going to hold up a hair dryer to my head for that long. Instead I left it in for 30 minutes with a plastic bag over it and a head tie to create some heat. I didn’t feel like the masque had any immediate effect on my hair once rinsed out, I’ll have to see how my hair is after a few more treatments. I need to take the porosity level test to figure out how much moisture my hair needs, because I might need more than these products provide, hence why I’m not seeing a difference. 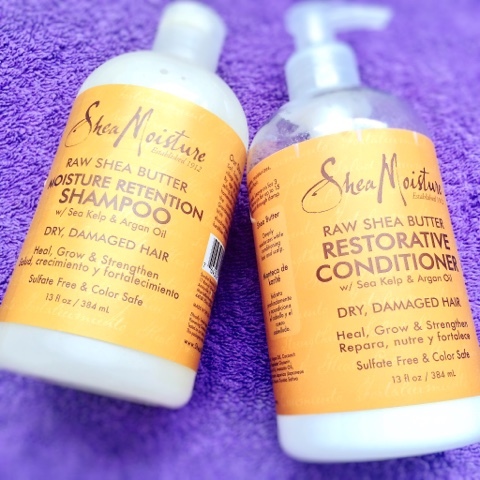 Superdrug constantly have offers on their Shea Moisture range so you can buy the products mentioned in this review here. What do you think? Do I need to be more patient and consistent to see results? Or do I just need to try something else?